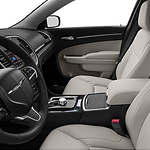 If you're looking for a car that's stylish inside and out, take a look at the new Chrysler 300. This popular full-size luxury sedan is boasting unique interior design elements that add a touch of elegance to your daily commute. We here at San Leandro Chrysler Dodge Jeep RAM are excited to show you around the lineup. The Chrysler Pacifica Is built for convenience and to impress. That's why this minivan is so popular among our customers in San Leandro. Families love it because of the convenience it affords along with its inherently attractive exterior. One look tells you that this is not your parents' minivan. If you want a muscle car, then you have many options, but the Dodge Challenger is unique because it comes with class-exclusive interior features. Many consumers at San Leandro Chrysler Dodge Jeep RAM like this model because it enhances convenience, entertainment, and comfort. Let's have a look at a few interior features of the Dodge Challenger. Compact SUV's are popping up on roads all across the country. 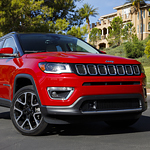 That is why our team of experienced compact SUV experts at San Leandro Chrysler Dodge Jeep RAM are so excited to tell you all about the brand new 2018 Jeep Compass! With the Gladiator, Jeep brings the first open-air truck to the industry. The Gladiator, which will be part of our 2020 lineup at San Leandro Chrysler Dodge Jeep RAM, has several best-in-class features, including towing and payload capacities at 7,650 and 1,600 pounds, respectively. What Kind of Engine is in the Chrysler Pacifica? The Chrysler Pacifica is one of the few remaining mini-vans on the market. Chrysler offers the Pacifica in six trim levels: L, LX, Touring Plus, Touring L, L Plus, and Limited. Each trim is powered by the same engine with no options available. 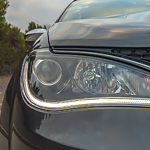 Not everyone has the luxury of putting their vehicle in a garage or under a carport every night, so how do you keep it looking good and safe from the elements? The answer is investing in a car cover, yet how and when do you use it? 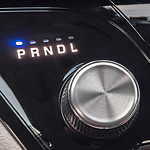 Getting a letter of recall can cause a lot of problems with the driver. Therefore, you are going to have to take some precautions according to what the letter of recall says when taking it to get repaired. With the recall being the result of a defect that can cause a hazard, it is important to get that issue fixed. While the Chrysler 300 is a vehicle that is beautiful both inside and out, the exterior of the 300 has really shone through all the other competition throughout the years. For the most recent model, the exterior has gotten a bit of an update. Previous models were known for that classic 300 grille. Now, the front end looks more modern and sleek. 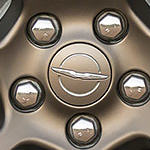 You get to choose from nine different wheel options. There is a sporty wing on the back end of the vehicle. It's not overdone, it's just the right compliment for the overall design. 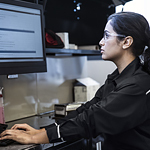 When families are searching for a new light-duty pickup truck, vehicle safety is always one of their main priorities. That is exactly why the staff here at San Leandro Chrysler Dodge Jeep RAM so often recommends the new Ram 1500. This popular pickup is packed full of safety features that will keep your whole family safe. 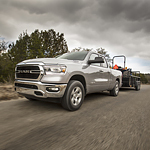 The body of the new Ram 1500 is manufactured from high-strength steel. This helps to create a powerful cocoon that keeps the driver and passengers safe should a collision occur. In the Ram 1500, your family will always be protected.